Google is working to bring more of Google Play to countries with languages other than English, and launching its App Translation Service is a big step in the right direction. 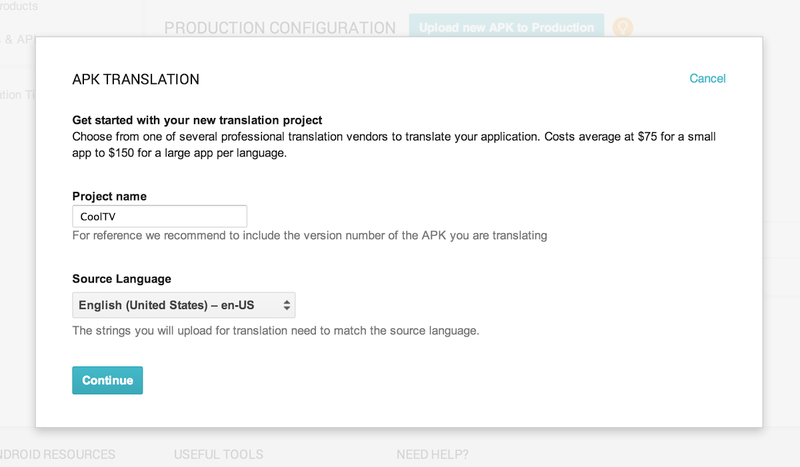 Announced back in May at Google I/O, the App Translation Service is an easy and relatively inexpensive way for app developers to have their apps and Play Store pages professionally translated to dozens of other languages. Now any developer can take advantage of this service right from the Developer Console with a few clicks. After going through a "localization checklist" that makes sure your app is ready to support other languages, you simply choose from one of many professional translation services, select which languages you'd like to translate to and you're on your way. You can even communicate with the translator along the way to make sure the app works just right with the new localization. Google says translations will cost in the range of $75 to $150 per language depending on the size of your app, but that can be a small price to pay considering the wider addressable market you can sell your app to once the translation is completed. Here's to hoping developers take advantage and bring their apps to new users around the world.